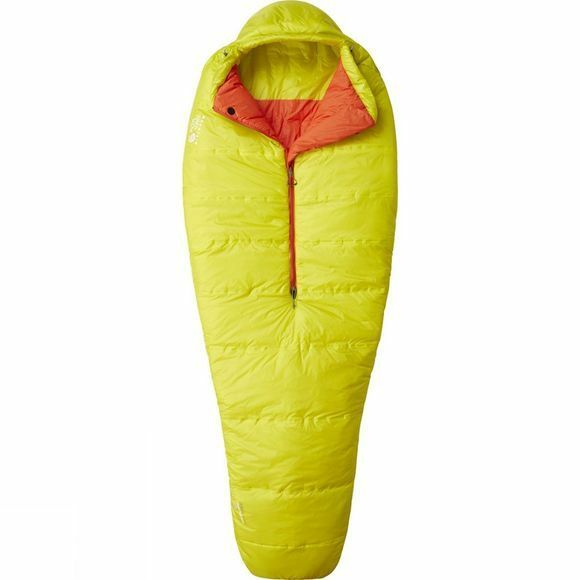 The HyperLamina Spark Long Sleeping Bag from Mountain Hardwear has been engineered to provide you with a lightweight but super warm sleeping bag for all your adventure needs. Packed with features that promote heat retention including a half length centre zip, a face gasket and Lamina welded construction this bag will be your go to bag for all your summer adventures. The Thermal Q insulation has also been body mapped to ensure more insulation where you need it and less where you don't which in turn allows a much more efficient and lighter weight bag.